VISIT 5 tourist popular destinations in Sabah, along the Tamparuli-Ranau Road. Easy, cheaper and hassle free! 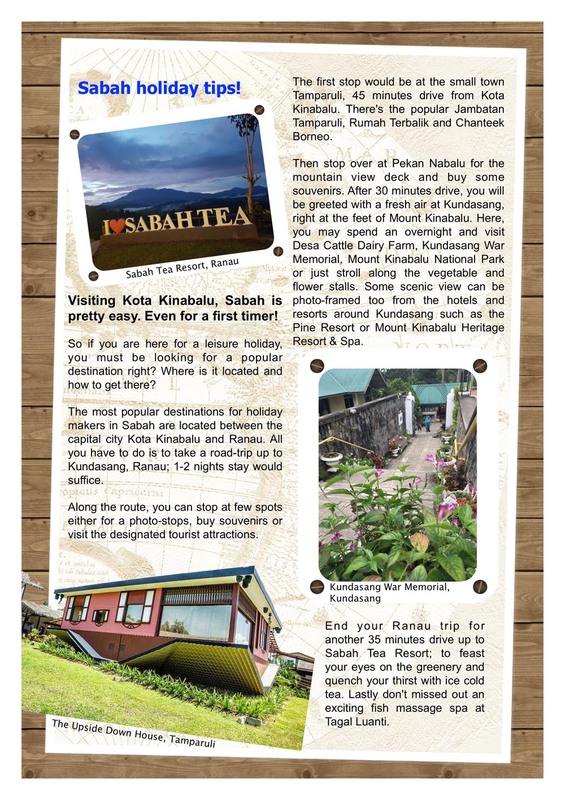 5in1 Ticket is a ticket to allow you to visit 5 popular destinations in Sabah along the Kota Kinabalu-Ranau Road. It is a combination of the best in Sabah; landmark, nature and culture! What are the 5 attractions? 1. Rumah Terbalik, 1st Upside Down House in Malaysia. How do I go to the 5 places? Transportation is not included in the ticket. You may drive on your own or use other transportation provider. All the 5 places are easily accessible and can be found through Waze or Google Map. How long is the ticket's validity? Unused ticket is valid for 1 year from date of purchase. Used ticket but not fully redeemed is valid for 30 days. How to use the ticket? Your online ticket is to be collected at Chanteek Borneo Indigenous Museum. Using this ticket you are not required to buy any entrance ticket to visit all the other 4 destinations. At each destination, you are required to show your 5in1 Ticket to the receptionist. If I need more info, who should I contact? More info about 5in1 ticket.. Thank you and see you in Sabah, Land Below the Wind!